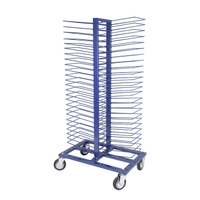 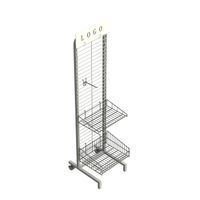 These slat wall display feature a unique pinwheel-shaped design that will grab attention and offer you maximum flexibility when configuring your store fixtures. 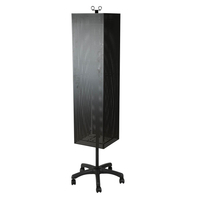 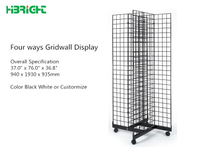 These retail slatwall offer four 2' x 4' display areas along which you can attach your choice of slatwall accessories. 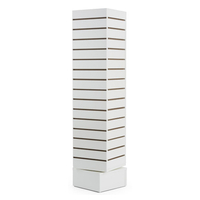 These accessories easily hook into panel grooves on each of the four mounting surfaces in just seconds. 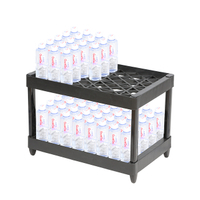 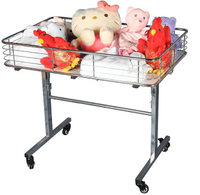 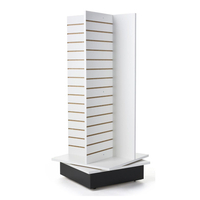 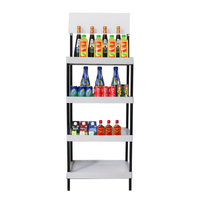 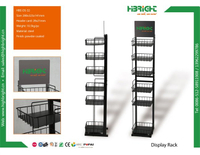 Within minutes, you can create completely customized retail displays! 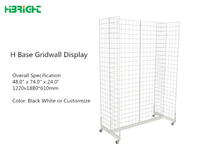 Because these slatwall accessories attach without the use of any adhesives or mounting materials, you can easily change around your selections to keep up with current trends. 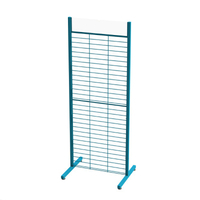 Merchandising displays like these pinwheel-shaped slatwall displays offer all the versatility of slatwall in an exciting, new design! 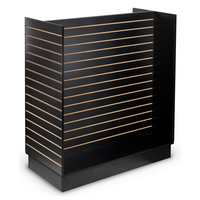 While measuring only 36"w x 54"h x 36"d, these wood slat walls offer 32 square feet of display space. 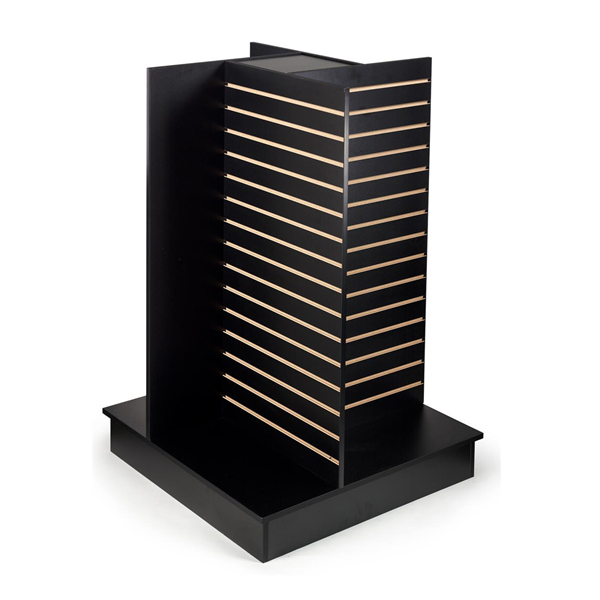 Each of the freestanding display fixtures has 4 slatwall panels designed to hold any variety of accessories that you choose. 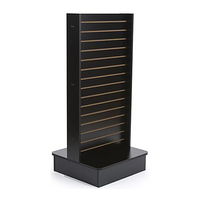 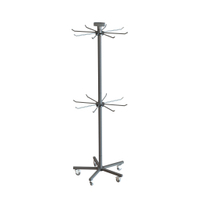 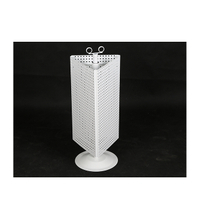 These slatwall fixtures make excellent retail displays, accommodating a variety of hooks, face outs, and shelves. 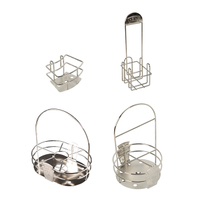 Use yours to hold clothing, sporting goods, food, product samples and more. 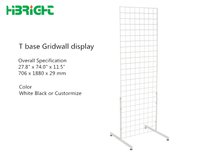 You can also use these slatwall displays to advertise information about your company, product or upcoming event. 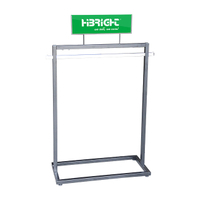 Sign frames can hold advertising posters, while literature pockets and brochure holders can distribute flyers, catalogs and other printed materials. 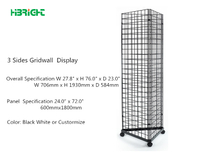 Whatever you decide to use them for, display fixtures like these slatwall displays will offer you flexibility and versatility that you won't find in other products.